It seems that everywhere I go, people are talking about women in tech and women in startups. Everyone has an opinion on why it’s hard for women in tech (or IF it’s hard). Some think the solution comes from changing institutions to accommodate families. Others think women just need to embrace careers and quit being timid. There are plenty of opinions, but we in the startup world know that execution matters more than theory. Yesterday in Memphis, execution was on display. 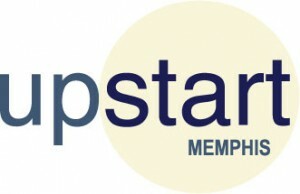 The people behind Start Co in Memphis, TN are actually doing something to advance women in tech, and the fruit of that labor was seen in the 5 teams that presented at Upstart’s Demo Day. I talked about Upstart in July, and like most Demo Days, it’s amazing to see how far the companies have come in a few short months. Of course, it’s still early days for all the companies, and everyone knows the real work begins after Demo Day. WeddingWorthy.com–WeddingWorthy.com was a late addition to Upstart cohort, but when leaders saw how serious founder Tameesah Desangles was about her business, they felt she’d earned a place at Demo Day. Desangles’ company is a visual shopping platform for brides and their bridesmaids. There are thousands of things to buy for a wedding, and with 25 retailers on board, there are plenty of options. Artwardly–Leni Stoeva changed her business model quite a bit during the accelerator, but the final product is an art-leasing platform that connects high-end art and individuals and businesses. No more Fortune 500 companies with Aunt Ida’s black and whites in the lobby. With her connections in the art world, and some great developers building the platform, Stoeva is on pace to change the way collectors, businesses, and even museums source their art. 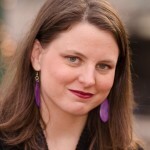 GemPhones–We’ve written about GemPhones before, and founder Kelli Meade is still going strong. GemPhones is electronic jewelry, combining the function of earphones with the style of necklaces. Lots of people flaunted their GemPhones at the after parties, and it’s really impressive how many styles are already available. Stylecrook–A native of Bermuda, founder Zakkiyah Daniels came all the way from Thailand to participate in the Upstars accelerator. Stylecrook is a social shopping site that allows you to receive discounts when you enlist your friends to help you pick out clothes. Let’s face it, that’s how most women shop best anyway. Stylecrook is now making it digital. Kids360Now–Audrey Jones started her presentation with a sobering story about children harmed at a day care and taken to a hospital, but because their parents contact information was inaccessible, the parents didn’t find out until pick up time. Kids360Now solves that problem by putting the information into the parents’ hands, and allowing them to grant access when needed. A daycare administrator can simply open an app on her phone in the even of emergency, rather than trying to reach a file cabinet. The women of the first Upstart cohort made big strides in the 3 months of accelerator life. We at Nibletz are cheering them on as they continue to grow and develop their companies.